All of our septic service is backed by our trained, knowledgeable staff as well as our licensed and bonded company. Septic tank pumping can prevent many issues for your tank, including plumbing issues, toxic waste, and expensive repairs. 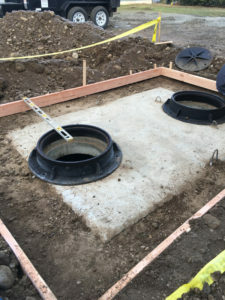 A regular septic tank will need septic tank pumping every 3 to 5 years and that removes sludge, debris, and the risk of breakdown. Why risk the safety of your family or employees? Call us today to schedule a consultation for your septic tank pumping project. Why risk your entire investment by not hiring our septic tank cleaning professionals to maintain your tank? It’s an easy “Yes” when you think about it that way! With our septic service, you’ll prevent any bad odors, slow drains, or groundwater waste seepage. You’ll also save your money over the long haul, stopping major repairs and breakdowns in their tracks. Seattle residents can check with their neighbors and other property owners for real-time reviews of our exceptional services. Why Should Seattle Residents Choose Us for Septic Pumping? If you want septic pumping without worrying about the prices or quality of service, you should call us. We can provide our recommendations and reviews from past and current clients to put you more at ease, too. Our Seattle septic pumping service is unmatched so hire us today for a job well done. Wondering how to drain your pipes faster or get rid of that bad smell? 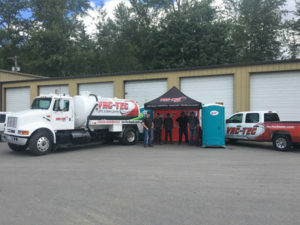 Call Vac-Tec, LLC for septic tank pumping and septic tank cleaning in Seattle. Dial Tacoma – (253) 777-4887 Seattle – (206) 339-0039 Olympia – (360) 338-6686 North Dakota – (701) 566-0045.